Bons Amigos is a cape verdean nonprofit association. It was founded in 2000 in Santiago (the biggest island of the archipelago), and its goal is to improve the day to day life of Cape Verdeans, humans and animals. Therefore, a vets, anesthesists and nurses team gives free cares to stray and domestic dogs and cats in Praia Clinic (capital of Santiago). The association also sensitizes local population to animal welfare and organizes free neutering campaigns. You will find more informations about Bons Amigos on their Facebook page here. As Veronica says in the video, it's an association with limited funds and which only survives thanks to donations, so every penny is welcome! Tierärztepool is a german nonprofit association. 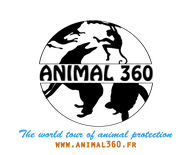 It is a vets team which gives cares to stray and domestic dogs and cats and organizes neutering campaigns in needed countries: Cape Verde, Romania, Greece/Crete and Turkey. You can find more informations on their website and do a donation via Paypal here. You can also go to the Facebook page here. While we were doing the report, we have met amazing people, with strong willingness. We visited Praia Clinic and saw a neutering campaign in Praia suburbs (with an impresive dogs catching!). We noted how huge the task is, and were admiratives of the courage of the team.